link.overdrive.com Click to access digital title. Click here to download Orland Park Public Library ebook. link.overdrive.com Click to access digital title from the OverDrive collection. words, Aaron Reynolds ; pictures, Peter Brown. Add tags for "Creepy pair of underwear!". Be the first. JUVENILE FICTION -- Animals -- Rabbits. <http://www.worldcat.org/oclc/1001295411> # Creepy pair of underwear! 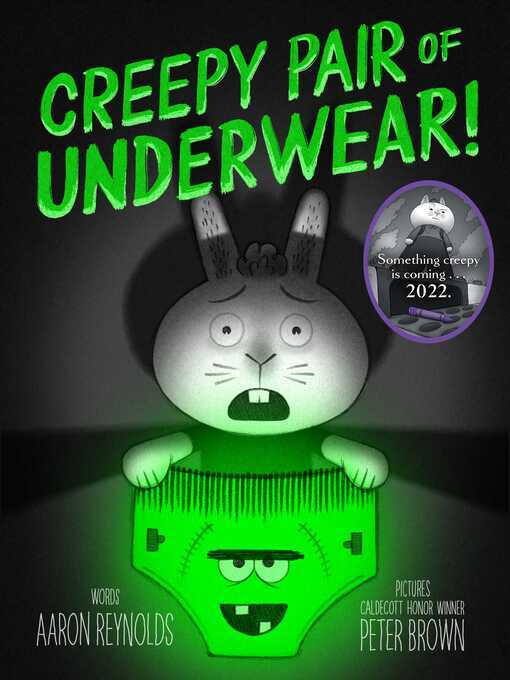 schema:isSimilarTo <http://www.worldcat.org/oclc/1001295411> ; # Creepy pair of underwear! schema:about <http://www.worldcat.org/oclc/1001295411> ; # Creepy pair of underwear!